SOMETIMES IT’S ALL GOOD: As Greenland becomes ever less present—as all good adventures must—an overview to acknowledge how perfectly it all came together seems in order. I will give myself some small credit for setting the whole plan in motion but after that all praise goes to Teresa and Celia for being the best travel companions for which one could ever hope AND to the travel companies that made it all happen. CASPER WOULD WANT ME TO TELL YOU THE REASON THINGS LOOK A BIT MESSY IS BECAUSE THEY’RE JUST MOVING OFFICE AFTER A FLOOR REFINISHING, OTHERWISE HE AND THE OFFICE WOULD LOOK PROPER AND PROFESSIONAL. THE MAIN CHARACTERS: Starting then by naming names. Casper Devantier of Arctic Friend/Culture Adventure was my first contact after receiving his and a couple of other names from the main Greenland website. Casper, in small ways and large, made it all painless and personal and fun from the beginning. 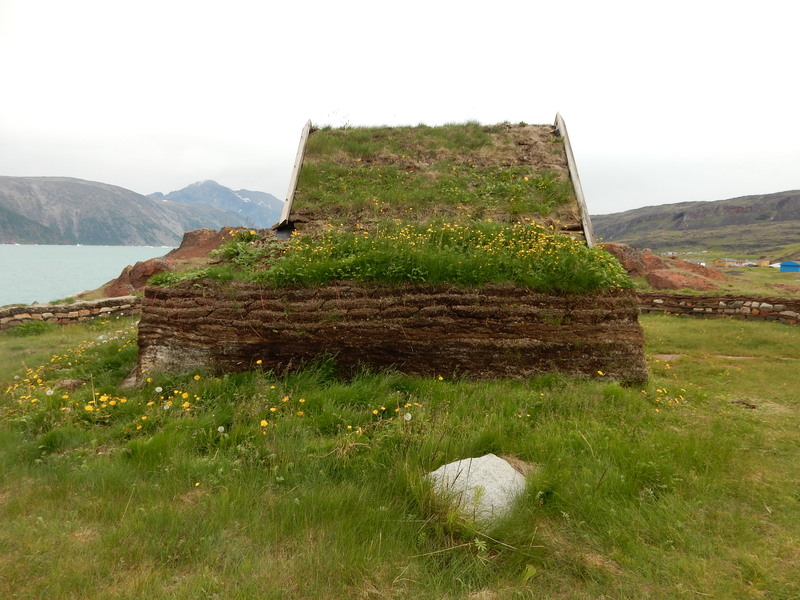 I wanted to trek and to taste traditional food and especially to see Viking sites. Teresa was up for anything and Celia didn’t sign on until a little later so all communication was between Casper and me for awhile. 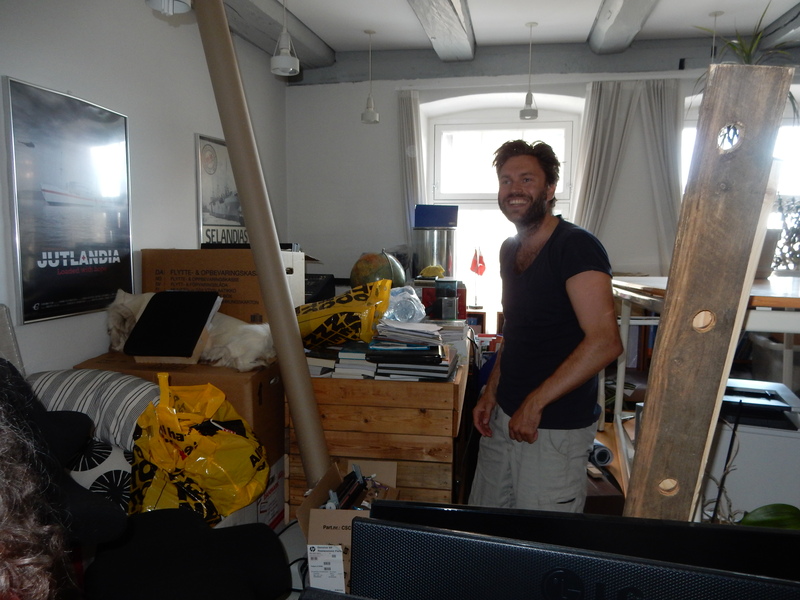 Can I just say he exhibited endless patience and great good humor from first email until we picked up our extra suitcases (which he kindly stored for us) at the end of the trip down at his waterfront office (almost next door to Noma) in Copenhagen. Casper made our trip through Tasermiut/South Greenland Expeditions based in Greenland whose founder Ramon Larramendi is a famous explorer. Here’s a bit about him from his website. 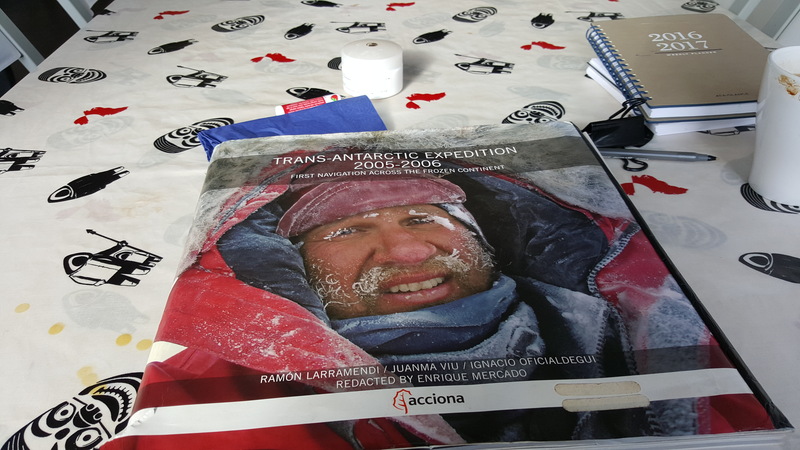 RAMON LARRAMENDI is Director of Travel Polar Lands and the Spanish pioneer in conducting and organizing trips and expeditions to the polar regions, which he has been exploring since 1985. He has participated in the first Spanish expeditions across Greenland on skis in 1986, the geographic North pole and magnetic skis in 1999 and 1998, and was the alma mater of the Expedition Circumpolar in which he traveled 14,000 kilometers by dogsled and kayak from Greenland to Alaska for three years (1990-93) considered by the Spanish most important geographical exploration trip . This journey deserved an article in National Geographic magazine in its English version, so Ramon being the only Spanish until the date published in the magazine. He is a regular contributor to THE EDGE OF THE IMPOSSIBLE for polar expeditions since 1998. He is also the inventor of Kitesled, the first polar vehicle powered by renewable energy with which he has carried out the Transantarctic Expedition 2005-06. Reaching for the first time in history the South Pole of Inaccessibility, the point more difficult to reach the Antarctic continent. 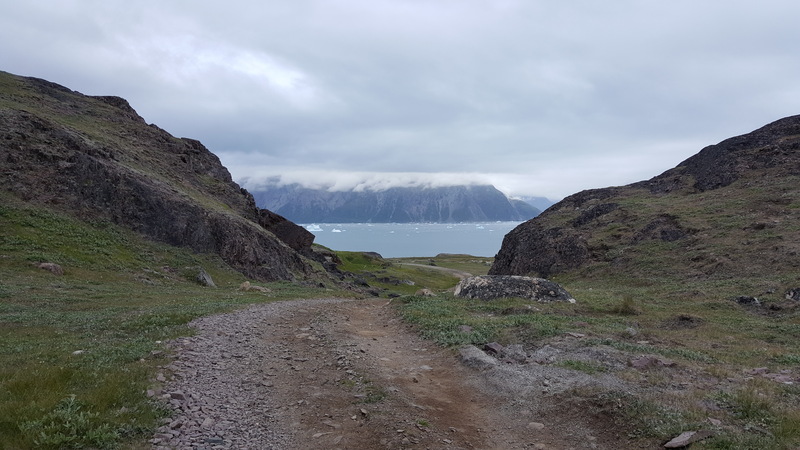 Although Ramon, whom we met in Greenland, is a major figure in Arctic exploration, Casper goes often to Greenland and other far-north destinations, leading travelers on slightly more modest adventures perhaps but nevertheless real exploring of the far corners of the earth. OUR EXPEDITION: It is true that our time in Greenland was just right and I know that’s because the people responsible love the country and cherish its environment. 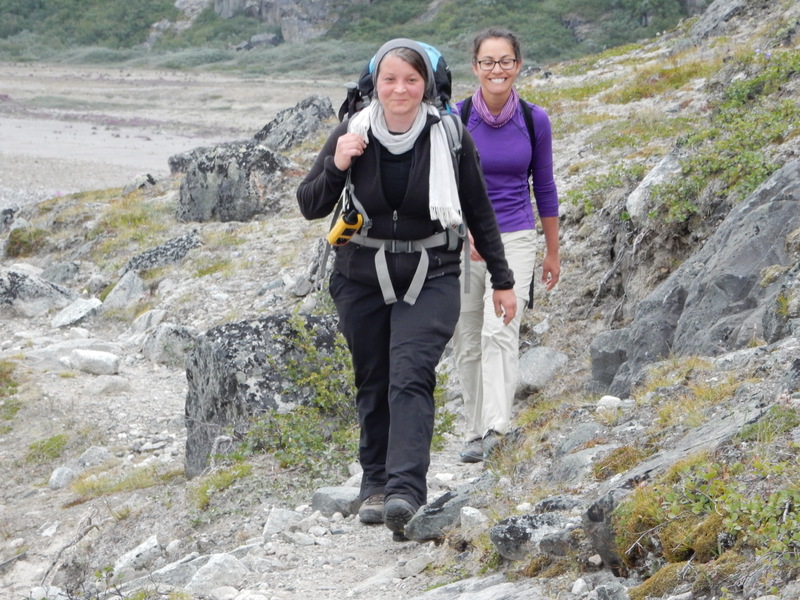 First consider serious Arctic explorers/trekkers/hikers putting together just the right journey for three women, two of whom are ‘women of a certain age’ (one even more than a little ‘certain’) and one young and strong and pretty much ready for anything. I don’t know exactly how the planning works but suffice it to say that the elders were challenged and the youngster wasn’t bored. We never felt pampered or catered to in any condescending way and yet we always knew we were looked after to the degree comfortable for everyone concerned. A major reason for our satisfaction, pleasure, fun, sense of accomplishment and the feeling the two elders have of ‘keeping on keeping on…’ was of course the guides. What an amazing group of young women and men from all over the world who spend the season in Greenland or are Greenlanders training as guides. Norah, Dani, Andrea, Arnatsiaq and Kunuk, all brave and kind and smart and funny and encouraging. We loved them absolutely and truly hope we’ll cross paths in other adventures and times. We will maintain facebook contact with some of them I hope so the adventures can continue through their zest for life and travel and wild places. THE ITINERARY: Here’s a quick overview of the days. 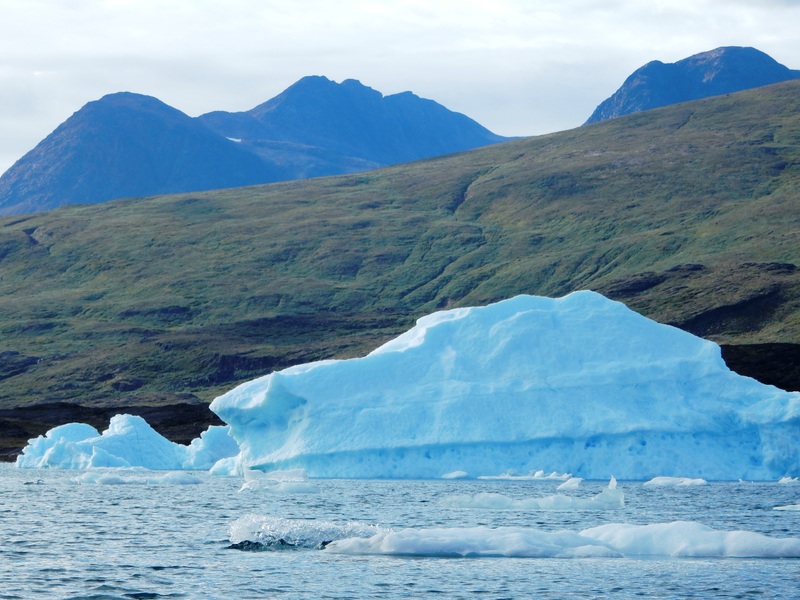 Day 1: Greenland Air to Narsarsuaq, boat to Qassiarsuk, get our gear (love to call all of the new REI stuff my gear!) stashed at the Leif Eriksson Hostel, roam around Qassiarsuk’s Brattahlid Viking ruins, eat the freshest of fish dinners, tuck into our bunks. Day 2: Only an 8k walk through the hills and sheep pastures and rocky trails over to the kayaking bay. This was the trail of the jumping rocks but Celia and I survived with very little patching up but quite a number of giggles over our clumsiness. And the kayaking. Wow. I am afraid of water right. Not so today. 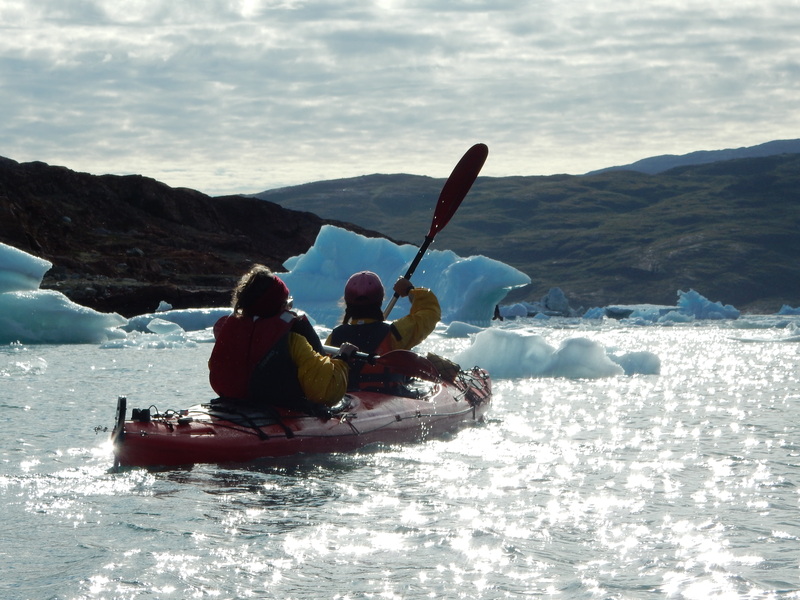 With Norah as my partner and the sun and the icebergs and the silence and the unadulterated beauty of this natural corner of the earth this became one of the finest experiences of my life. They took us back to the Hostel in an ancient vehicle of some sort and we had another fresh and simple meal, hot showers (not quite roughing it are we?) and fell asleep dreaming we were in magical place called Greenland. Day 3: An odd and interesting day beginning with a visit to a little clinic in Narsarsuaq to have my finger stitched up, a walk, not so long but rocky and strenuous enough for the day, to Flower Valley, not so very flowery but big sweeping rocky views, and flowers that are all the more beautiful for not being plentiful but rather hardily delicate survivors intended to pretty up the world of the Arctic summer. 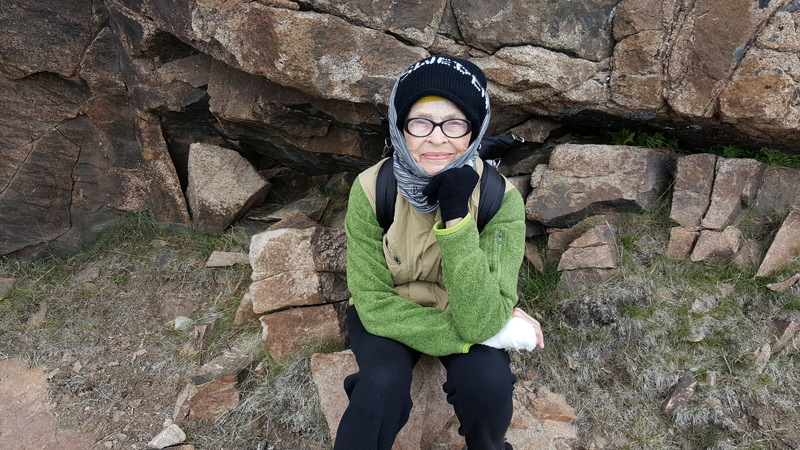 We came back to Narsarsuaq, visited the one restaurant/souvenir shop, climbed in and out of jeeps (Celia, as I write this I’m drinking a wine and giggling and missing your indestructible sense of humor). One more fine and fresh and simple meal from our Spanish chef…and the bunks seem to be getting softer and softer as we drift off or lie awake a few minutes thinking with some trepidation of the challenges of the next day. Day 4: Okay then. 14k. Not a big deal you say. Big deal I say. It’s days later now…I’m having an afternoon off while Teresa goes adventuring. And a wine. And me in Norway…a place I guess I love the most. This 14k walk of which I speak made me want to keep moving and walking. For many years. We took quite awhile walking our path to 14k stardom; near the end Dani came looking for us in a vehicle but we said no thanks and kept on trekking right up to our bunks. A perfectly delicious Spanish casserole of rice, olives, chicken, tomatoes that night. The award. Was. Knowing. We. Did. It. Day 5: Ah yes, the final Viking village down and up a long rocky path. Nicely preserved ruins, scattered houses, most picturesque. 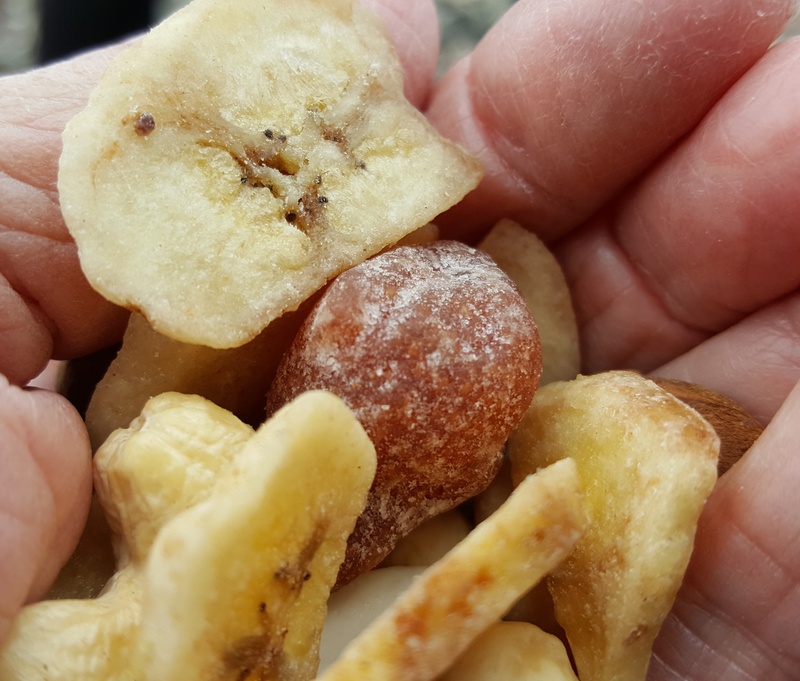 Lunch as usual, excellent Danish pate, fruit, dried soup, coffee, candy bars and the fruitiest of trail mixes. Traditional food that night. We drank a little alcohol for the first time in the week and found it all delicious…especially the blubber. Day 6: We’re sad…what if we never return? Greenland is not exactly on the beaten path. On the other hand … maybe this is me. The New Yorker cartoon where the little old lady is floating away on a small iceberg, her family waving to her from the shore, she calls back “are you sure this is the way to the nursing home?” Easy flight home. We like Greenland Air. Copenhagen.